Significant advances have been made in recent years to build greater collaboration and interoperability across the national security community. However, the increasing complexity of national security threats requires an even more consistent and connected approach to capability planning that complements existing individual agency arrangements. 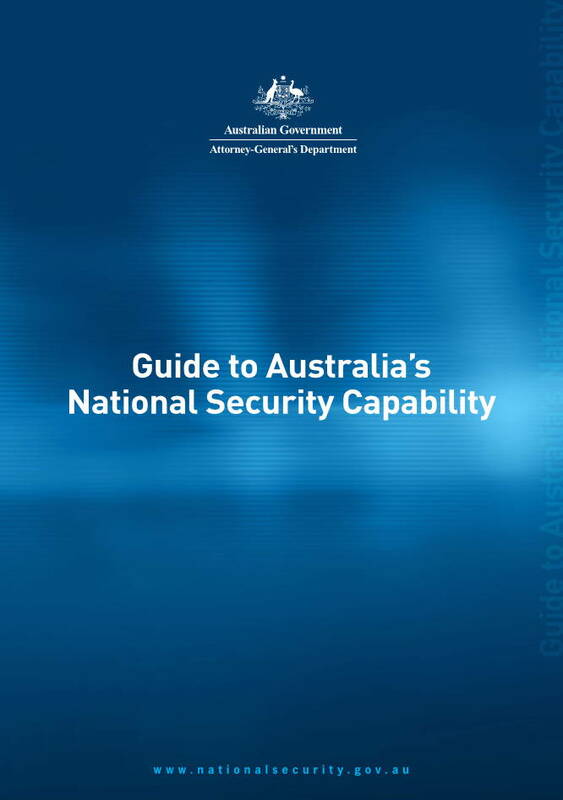 To that end, the Government has developed a security classified National Security Capability Plan to provide a single consolidated picture of the capabilities that enable Australia to achieve national security outcomes. 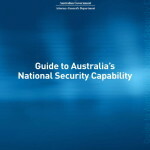 This Guide offers an overview of Australia’s national security capability planning. It identifies the functions performed by the national security community and how these achieve the objectives outlined in the National Security Strategy (2013). Posted in Asia Pacific, Defence, Federal, Governance, Security and tagged agency arrangements, AGs, capability planning, collaboration, increasing complexity, interoperability, national security, national security capability, National Security Capability Plan, national security community, National Security Strategy, national security threats.